Car insurance is expensive, especially for younger drivers. Because new drivers tend to make more claims, insurance companies charge them more. The average annual cost for a 17-22-year-old is more than £1,400. One way younger drivers can access cheaper premiums is through black box insurance. Black box insurance monitors your driving and adjusts your premium based on how safely you drive. To measure how you drive, your car insurance provider installs a black box in your car. Black box insurance is also called “telematics”. Once your black box is installed, your insurance premium will be updated regularly – usually every month. Many insurers – such as Drive Like a Girl – also offer bonus miles for safe driving. This means you can drive more miles in the future without your car insurance premium going up. The specifics of your policy will vary depending on your insurer. Some insurers will give more weighting to certain types of driving behaviour than others, so each insurer’s score has an element of subjectivity. Your speed: if you go over the speed limit, your car insurance will be more expensive. Some insurers will also issue fines for speeding. Check this on your insurer’s website before you take out a policy. How far you drive: You’re more likely to have an accident if you regularly make long journeys. Sudden braking: Slamming on the brakes suggests you’re putting yourself in dangerous situations. It will make your car insurance go up. Road types: Some surfaces are more dangerous than others. If you spend a lot of time driving on less safe surfaces, your insurance premium will go up. Breaks taken: You shouldn’t drive for too long without taking regular breaks. If you do, your car insurance premium will go up. Because black box insurance measures how far you drive, and what kinds of road you drive on, it’s not a great option for everyone. If you have a long drive to work and back every day, for example, you’re unlikely to get your car insurance any cheaper than you would without a black box, even if your driving is otherwise safe. Black boxes are installed by the insurance provider. It takes about an hour. The black box isn’t visible. It’s about the size of a smartphone, and it’s usually tucked away behind your steering wheel. When you cancel your insurance, the black box is deactivated. But you may find your car harder to sell with the dormant black box still installed. Speak to your insurance provider about removing it. Most of them will charge you a fee, but not everyone. Insurethebox, for example, won’t charge you for removing your black box. You should be able to check your black box usage through your insurer’s app. Your usage is given a “score”, and the higher your score, the safer your driving. Different insurers have different scoring systems. Direct Line, for example, gives you a score between 1 and 100. Aviva Drive’s scale is 1-10, and Carrot uses 10 to -10. 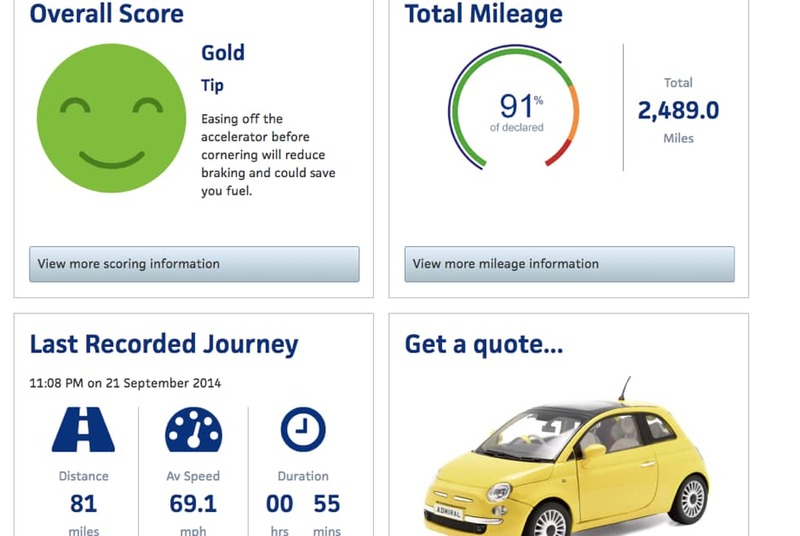 Some insurers offer extra tips and statistics along with your score, such as Admiral Littlebox’s dashboard. If you think your usage data is inaccurate or unfair, get in touch with your insurer before your premium is calculated. Each provider has their own rules, which should be clearly explained on their website. 1.Whether you go over the speed limit. Some insurers are stricter about speeding than others. Some issue fines, and others will cancel your policy altogether if you frequently go over the speed limit. 2.What time you drive. Some black box insurance policies come with curfews, which means you’re not allowed to drive after a certain time of night. Others won’t have strict curfews, but will lower your score for driving at night, which is when most car accidents happen. 3.How long you drive for. Some insurers will lower your score if you go on very long journeys, so avoid this as much as you can. If you do go on long journeys, take regular breaks – your black box will reward you for it. 4.What kind of surfaces you drive on. You’re more likely to have accidents on some surfaces than on others. Narrow, winding roads on rural areas, for example, are the most likely to host a car crash. If you do need to regularly drive on these surfaces, stay well below the speed limit. 5.Whether you brake suddenly. Sudden braking and sharp turns around corners are recorded by your black box. They indicate that you’re not leaving enough space between you and the cars around you, and they will lower your score. Speeding isn’t reported to the police unless you’re involved in a serious accident, but some insurers will fine you for going over the speed limit. Your insurer should also make allowances for driving abroad. Many European countries have higher speed limits than the UK. But it can make your insurance premium go up by a lot. Many insurers will cancel your policy if you’re caught speeding too many times. Your black box insurance price will change based on your driving. Most providers update your premium every month. However, different insurers still have different base prices, so it’s worth comparing providers. To find out what kind of fees and charges might be involved, read the provider’s website carefully. Read some customer reviews, too. Black box insurance doesn’t guarantee you a lower premium, and it isn’t the only way for new drivers to get cheaper car insurance. 1. Add another low-risk driver to your policy, such as a parent. They should be named as an extra driver if it's your car - it's illegal to name them as the main driver. 2. Add extra security features. The more secure your car, the cheaper your insurance. By adding features like alarms, you'll make your car safer. You can also make your car more secure by parking it in a garage rather than on a road. 3. Increase your excess. The excess is a voluntary extra amount of money you agree to pay up-front if you make a claim. The higher the excess, the cheaper your insurance. So go as high as you can comfortably afford. 4. Buy a car that's cheap to insure. Different cars fall into different "groups", and different groups have different insurance costs. The specifics of what makes a car fall into a particular group can be quite complicated, but as a general rule: the faster and more powerful the car, the more expensive the insurance. 5. Don't modify your car. Any modifications can add hundreds to the cost of insuring your car. There are insurers who specialise in offering cheaper car insurance without a black box for students and younger drivers, such as Endsleigh Insurance. You can also get in touch with an insurance broker to help you find the best deal for you. Who offers black box insurance? If you've ever had a black box insurance policy, leave us a review and let us know what you thought of it.